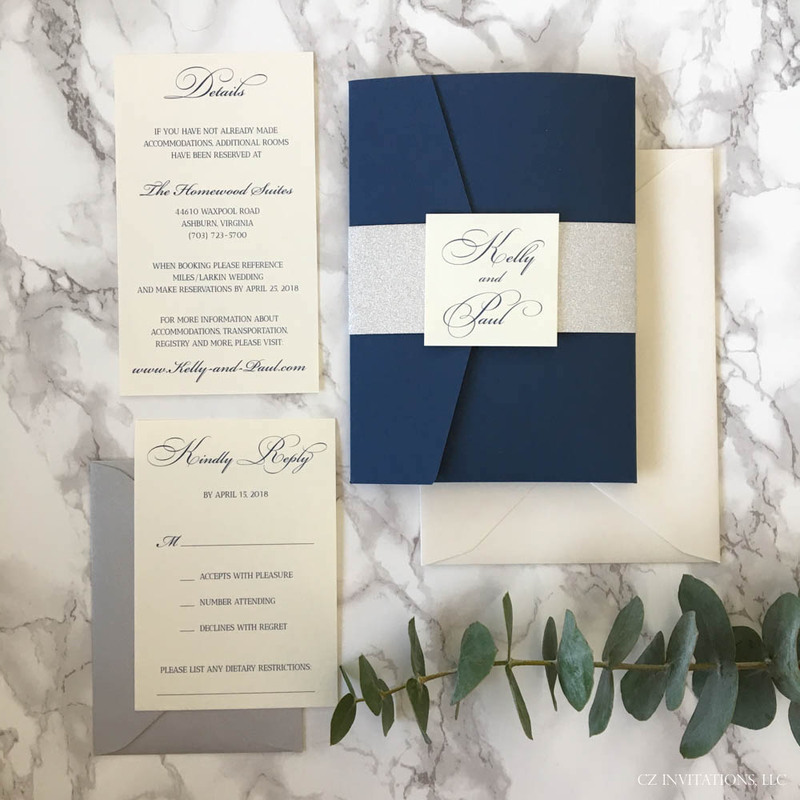 Our most detailed and elegant wedding invitation. + This glitter paper is no shed paper which means absolutely no mess for you or your guests. While the lace is our most popular design, we have 14 laser cut pockets and 11 Petal designs to choose from! 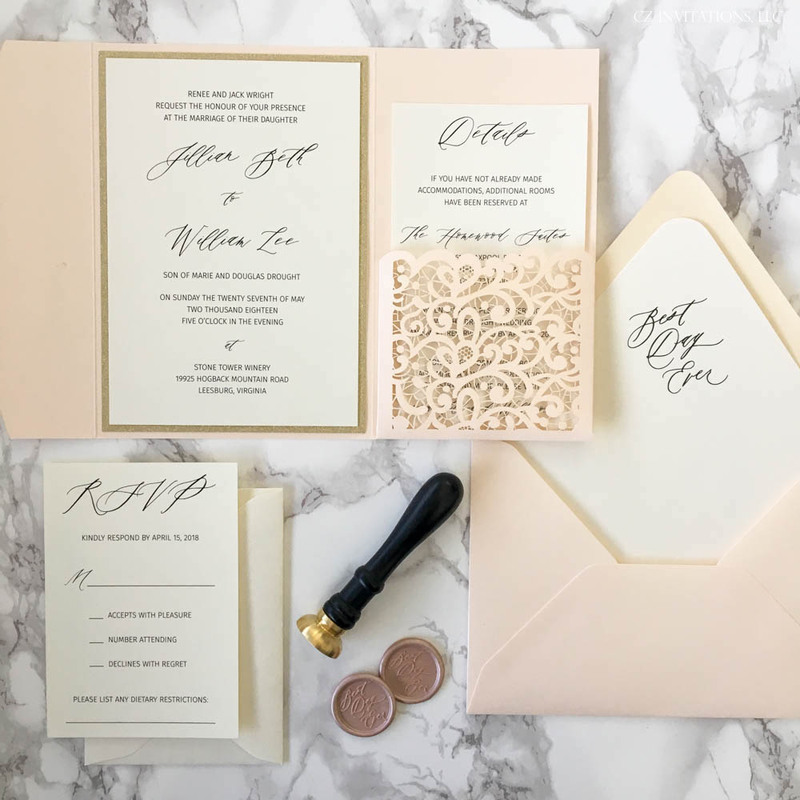 Laser cut pockets and cards are available in over 80 colors to coordinate with your perfect day. Above is our square petal fold, which is the most affordable laser cut style but still as elegant as can be. We're not going to charge you for every little change in color, font, wording, etc. Why? Because we wouldn't want to be charged for those things. The industry standard is three proofs, and then additional charges for edits. What if you want to see a couple different fonts? Then you have to pay another $25+? No, not with us. Our Favorite Laser Cut Pocket, Samples available in gold foil!